Fire breathing is the act of creating a fireball by breathing a fine mist of fuel over an open flame. 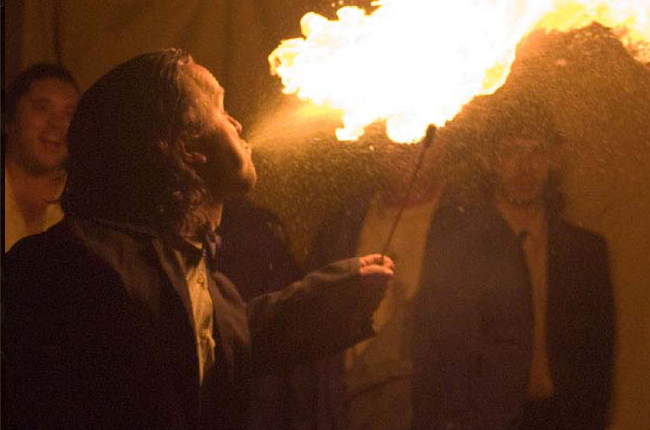 Proper technique and the correct fuel create the illusion of danger to enhance the novelty of fire breathing, while reducing the risk to health and safety. 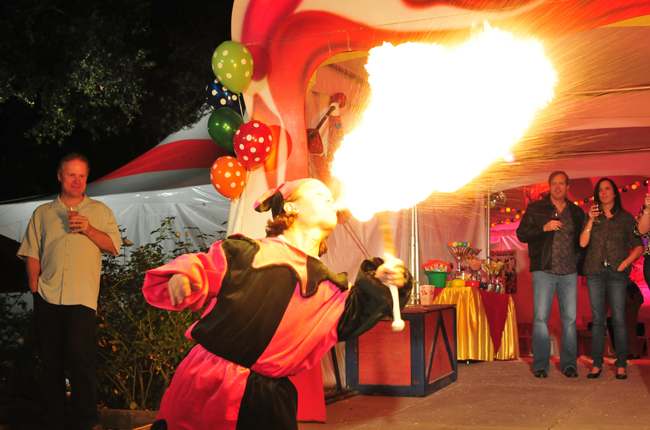 Other acts include Juggling pins with fire, and fire eaters.